Many invasive plants (like rash-producing invasive vines and thorny shrubs) are preventing community members from enjoying local forests and are degrading local natural ecosystems. 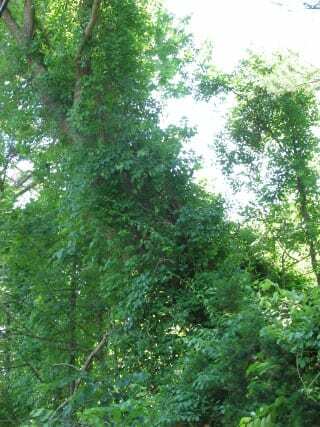 Controlling invasive plants is a big challenge but “Many Hands Make Light Work” and through the use of volunteers, many communities are making headway with invasives. Volunteer-led program give residents an opportunity to connect with people while taking care of the natural resources around them. Volunteer programs also enable community members to help protect forest plants and wildlife while spending time outdoors, meeting new people and restoring natural habitats. Your location and specific invasive plant threats may differ from those presented, but the volunteer strategies are common in all areas. Malin Ely Clyde is a Project Manager for The Stewardship Network: New England – an organization that organizes volunteers to care for and study lands and waters. Conservation organizations and towns post nature-based volunteer workdays and trainings on the calendar at NewEngland.StewardshipNetwork.org. 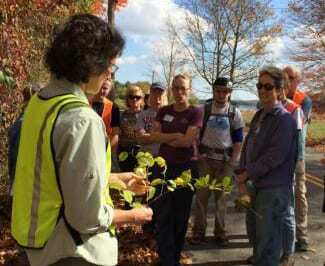 Volunteers are recruited for the annual Garlic Mustard Challenge and other invasive plant control efforts. Malin will share ideas for how to work with volunteers in your community and will explain how to maximize volunteer potential. In 2013, UNH Cooperative Extension launched the Stewardship Network: New England, working with partners and volunteer organizations to extend the successful work of The Stewardship Network in the Great Lakes region. The shared collaborative vision is to mobilize the collective capacity of New England universities and colleges to strengthen connections between science and decision making. 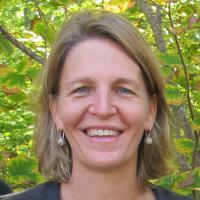 Malin Ely Clyde is an Extension Specialist in Community Volunteers at the University of New Hampshire Cooperative Extension and the project manager for the Stewardship Network: New England. She has a B.A. From Yale University and a B.S. From the University of Washington College of Forest Resources. She has been working with natural resource volunteers for over 20 years, helping to train, motivate, and inspire volunteers to conserve and care for the lands and waters in their communities.